BRUKS SIWERTELL designed and supplied a complete Bulk Handling System for a North American Greenfield wood pellet production plant, including all conveying systems combined with a fully-automated BRUKS SIWERTELL Stacker Reclaimer storage system. ince its founding, BRUKS SIWERTELL has become one of the worlds most respected and innovative leaders in dry bulk handling. We are experts in supplying our customers with the most comprehensive portfolio of bulk material handling products and services. Our extensive global service team provides customized solutions to meet your every need, from conception and installation through commissioning and after sales support. BRUKS SIWERTELL always proposes the most economic and optimized solutions. Not all equipment available on the market is created and made equally. We believe in constructing high quality products that are built to last. And our reliable port, storage and conveying solutions provide the cleanest dry bulk handling performance available, while helping you protect the environment. Choosing BRUKS SIWERTELL is not only smart - it could make a substantial difference to your bottom line. Moving bulk materials effectively requires solutions that efficiently and economically suit both purpose and conditions unique to each process or industry requirement. This is why BRUKS SIWERTELL offers both conventional time-tested solutions like our drag and idler conveyors, as well as newer technologies like The Belt Conveyor™ and Tubulator™. 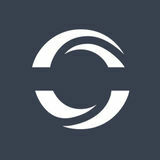 We strive to meet our customers’ needs by providing options that enable us to align our solutions to your requirements. 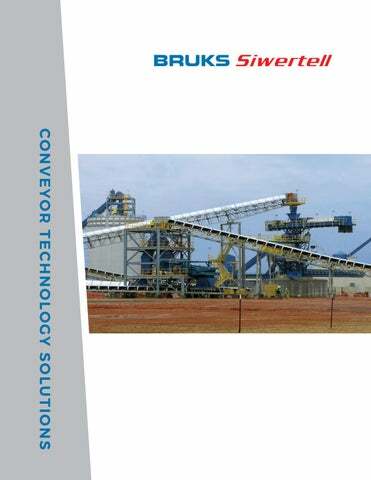 BRUKS SIWERTELL is leading the way in bulk handling solutions. issues caused by dust and mitigates house keeping that is commonly generatedBelt by other conveyor designs. M���� ��� NFPA ��� ��� ATE dust-free system that substantially mitigates house keeping. manufactured in standard modular sections. supports the formed carrying trough and covers. is less than conventional idler conveyors. roller-supported return or a fully-enclosed trough for the air-supported return belt. When a fully sealed system is required for environmental reasons or to protect the product from moisture, the air supported belt return is preferable. Roller supported returns offer the advantage of lower cost. The primary cost advantage of the Tubulator™ is its low installation cost, which is significantly less than any other type of belt conveyor. The conveyor is delivered in 40’ modules that simply bolt together end to end. The assembled units can span 80’ - 120’ between supports depending on belt width, and can span up to 250’ with cable suspension towers. A simple yoke system enables the attachment of the spanning sections to bents or cable supports at any point along the length. Head, tail, and take up modules bolt easily to the intermediate sections. The belt centers itself by gravity so belt training is eliminated. uncover ways to design a more effective system. SIWERTELL has manufactured chain conveyors for over 50 years. Equipment lifetime — the lifeline to your company is an efficient, low maintenance, conveyor system. complete bulk handling systems and equipment for all bulk materials. BRUKS SIWERTELL has the capability and experience to support our clients from the beginning to the end of any project.